GH Induction Atmospheres (GHIA) is an experienced industrial heating system integrator working solely with induction-based technology. We design and manufacture customized, turnkey induction heating systems for industrial heat treatment, brazing, and general purpose heating. GH IA, as part of the worldwide GH Group headquartered in Valencia, Spain, is a leading worldwide supplier of induction heating machines and systems for industrial heating in the automotive, aerospace, green energy production and medical markets. GH Induction Atmospheres seeks Induction Power Supply Engineering & Application Manager in Rochester, NY. Prepare power supply electrical schematics, including bill of materials. Size and specify equipment such as frequency, RF tank circuits and power supply topologies. Application supervision of both brazing and heat treating. Prepare data sheets, Order of Operation and other documentation on equipment. Obtain technical information from equipment suppliers. Recommend creative, technically feasible solutions that satisfy customer needs, while adhering to engineering standards and strategic direction. Evaluate state-of-the-art technological developments in various controls systems, and apply the latest advances. Apply engineering techniques in designing a control system that is reliable, serviceable, energy efficient and competitive. 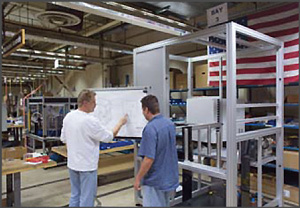 Interface with Sales, Mechanical, Machine Shop, Build, Service, personnel as well as a multi-tier supplier base. Work with in worldwide product regulation and compliance to design systems that meet both customer and government regulations, restrictions and codes. Strive for continuous improvement in both processes and products. Bachelor's degree in Electrical Engineering or a related field plus two (2) years' experience. Experience in Induction Power Supply applications and design with both series and parallel style topologies. 2 years' experience in modeling resonant tank circuits, current transformers, matching transformers and capacitors selection. 2 years of application experience managing other technical team members. 2 years' experience in using RF fields to manage heat materials and an understanding of material and the effect heat has on metals. domestic and international travel approximately 20% of time. Must also have authority to work permanently in the U.S. Applicants who are interested in this position may apply by sending a resume to dwilcox@gh-ia.com. GH IA is a great place to expand your career.